During February and March 2017, pupils from the Fifth Year at Vic's Doctor Joaquim Salarich Primary School came to the workshop. 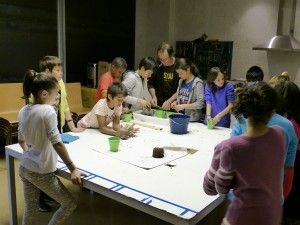 They participated in an entrepreneurship project, dividing into two cooperatives, both of which dealt in compost: El Bon Compost (Good Compost), from pupils of 5th B, and Terra Bona (Good Earth) from pupils of 5th A. 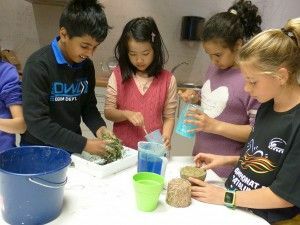 They came to ACVic in order to think about, and to make, the packaging they would use for selling the compost, and also to design the stalls they would use to sell their product at market.